One to one football training can accelerate players learning through our individual & small group training programme. The purpose of this very specialised training programme is to enable players to receive individual instruction in specific areas of the game which would be difficult to teach in a large team environment. Whether you have a trial coming up, are just looking for general development or you’re an advanced player or a beginner who wants to gain confidence in a private environment or maybe you have an important game approaching. Our private training programme will improve both your confidence and your game. Individual programmes give coaches more opportunities to correct technical imperfections and help your child understand where and how these techniques can be implemented in a game situation. Should I choose Private or Small Group? Select between Private Lessons for one player only or Small Group Training for i.e 2-5 Players. Not sure which one is for you? It really depends what you want to work on. If you have very specific training goals then the Private Lessons are the way forward; if you’re looking for overall development but with more individual attention then Group Lessons will work for you too. Private lessons allow the coach to concentrate on the specific demands of the individual player. Within the Small Group training environment all players must obviously focus on the same theme making it slightly less player specific than the Private Lessons. However, Small Group Training is still very beneficial in comparison to regular team training sessions. What can I work on? Players have the option of receiving instruction in any of the following areas or designating their own specific areas of need. It should be noted that the more themes selected by the player, the less focused the training will be in each area. Typical training themes include: Shooting; Passing, Goal-keeping, Control, Ball Familiarity, Dribbling, Running with the Ball and Speed, Agility & Quickness. Hemel Athletic Youth are currently recruiting boys and girls teams to join our friendly club for next season 19/20. All age groups are welcome. We have pitches available for all formats. For a small club we have great help within the club and are successful in what we aim to achieve at youth level. Our aim is to make sure that players and parents enjoy the atmosphere involved in youth football to make the teams as successful as possible. We will also be holding a couple of open training sessions for player recruitment in May ( Dates to be confirmed ) to either join our existing age groups or to help set up new teams. Parents who are interested in getting into coaching and wishing to help set up a team for next season are also welcome to get in contact. 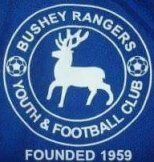 Broxbourne Borough U12s for season 2019/20 (current year 6) are looking for players to strengthen our squad next season. We have three teams playing in the Mid Herts Rural Minors League. 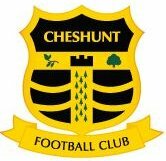 We will train on Thursday evenings in Cheshunt and play on Sundays. We will be holding trials 8th May. We are currently U14 and we are looking for boys who are in year 10 (U15) from September 2019. Cassiobury Rangers play at Parmiter's School in Watford. We train on Thursday evenings. We are looking for 3 or 4 new players for the squad and are inviting anyone interested to train with us on 9th and 16th May 2019. Cuffley Hawks U15 (current school year 10) are looking for committed players to strengthen our squad for next season (U16). Matches are played on Sundays and training takes place on Thursday evenings. If you are interested to come along for a trial, please contact Steve to arrange. Friendlies available for new players to play throughout April and May. Hemel Athletic U14 Blues are currently looking for a striker to join our already strong team for the 2019/20 season. We are currently U14s (Year 9) and are 3rd in the West Herts Youth League's Top Division. We are looking for someone with experience of playing top youth league football to join us and help to continue our team improvement. Chipperfield Corinthians Youth FC, South Hertfordshire's fastest growing youth football club are looking for players and teams at U13, U14 and U15 for season 2019-20. You are invited to join these age groups as players or complete or part established teams. You will become a member of an FA Chartered Development Football Club, and receive all the benefits of a well structure established organisation with players from ages 5 to Senior. Harvesters FC, based in Smallford, St. Albans, is looking for a goalkeeper and outfield players to join two current U14 teams in Division 3 and Division 5 next season, 2019/20, (current school year 9) playing 11-a-side football. Harvesters FC is an FA Charter Standard club, a Nike partner club and with its own winter training facilities, excellent pitches and dedicated goalkeeper coaching. We have reached three cup finals in the last three seasons (including league shield this season) and we won promotion last season. We are now looking for good players to strengthen our squad to push on for next season. We are a determined and friendly team with a good set of parents. We play on Sundays in the Mid Herts Rural Minors League and are currently in Division 3. We train on Thursdays. for U7 – U10 Boys on 9th June. All teams will be 5-a-side with an entry fee of £30. Currently playing in division 4 of the Mid Herts Rural Minors League, expecting to be in division 3 in the 2019/20 season. Looking for players in all positions. Defenders needed, but all positions are open to compete for. Although the season hasn't finished we are eager to draft in players to train with us ready for the new season. Harvesters FC, St. Albans, is looking for players for the 2019/20 season to join the U18 age group playing 11-a-side football. 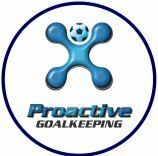 We are looking for outfield players and a goalkeeper with scope for all abilities. Knebworth Youth U15 Tigers (current school year 10) are looking for players to join them. Training is held on Wednesdays, matches played on Sundays. Friendlies available for players to play in throughout April and May. Standon & Puckeridge Hares U12 (current year 7) Recruiting. Our qualified FA coaches have worked hard to promote good quality passing football for which we've gained a excellent reputation. We're looking for children who are determined to improve their game to join our squad for next season. Colney Heath Youth Magpies u12's (current year 7) play in the Watford Friendly League Blue Division. We are looking for new players to join our family friendly team for next season. Everett Rovers Blue are looking for experienced outfield players in preparation for next season (2019/20). Players currently in Year 7 at school. The club is based in North Watford and we play in the West Herts Youth League. Everett Rovers is an FA Charter Standard club, with FA qualified coaches. Represent England & JW’s NCF Elites at the largest youth football tournaments on the Planet. Compete against teams from around the world in front of scouts, huge crowds and live streamed audiences. Trial date 22nd April @ The County Ground, Letchworth.SG6 2EN from 1:00 - 4:00 pm. Click here for more details and to reserve your place. This opportunity is open to talented players born between 2000 - 2009. ‘I am really excited to now be a working Director for NCF Elites. We will be working hard to continue to develop our exciting programme. We look forward to providing more talented players with a platform to showcase their ability at the biggest and best tournaments on the planet’. St Albans City Youth U13s Central (Current Year 8) are looking for boys who want the challenge of playing at an intermediate level. We are looking for a new Goalkeeper and a further 2 outfield players. We currently train on Fridays with matches played on Sunday mornings with coaching led by 2 FA Level 1 qualified coaches. We are a friendly team with a group of supportive parents. Cuffley Phoenix U13's are looking for players of a reasonable standard to strengthen our squad for season 2019/20 when we become U 14's. We currently play in Division 5 of the Mid Herts Rural Minors League and are probably 2 or 3 players away from being able to play in a higher Division which is our aim. Training sessions are held every Tuesday evening from 7:00 - 8:00 at Goffs School near Goffs Oak. We would welcome anyone up for the challenge of helping us progress as a team to come along for a trial from now until the end of May. Harvesters FC - Players Wanted Current U10 (year 5) moving to U11 for 2019/20 Season. Harvesters FC, based in Smallford, St. Albans is looking for players for the 2019/20 season to join the current U10 age group (current school year 5) moving to U11 playing 9-a-side football. We run three Under 11 teams so there is scope for all abilities. Harvesters FC is an FA Charter Standard club, a Nike partner club and with its own winter training facilities, excellent pitches and great coaching. Harvesters FC - Players Wanted Current U12 (year 7) moving to U13 for 2019/20 Season. Harvesters FC, based in Smallford, St. Albans is looking for players for the 2019/20 season to join the current U12 age group (current school year 7) moving to U13 playing 11-a-side football. We run three Under 13 teams so there is scope for all abilities. Harvesters FC - Players Wanted Current U13 (year 8) moving to U14 for 2019/20 Season. Harvesters FC, based in Smallford, St. Albans is looking for players for the 2019/20 season to join the current U13 age group (current school year 8) moving to U14 playing 11-a-side football. We run three Under 14 teams so there is scope for all abilities. Harvesters FC, based in Smallford, St. Albans is looking for a goalkeeper to join the current U14 North team next season 2019/20 (current school year 9) playing 11-a-side football. St Albans City Youth U12s South (Current Year 7) are looking for new players to join the squad as they start to plan the move to U13s and 11vs11 football for the 2019/20 season (when the boys will be in Year 8 September 2019). We are currently the only U12 St Albans side playing in Division 1 of the West Herts Football League and are looking for boys who want the challenge of playing at that level. We currently train on Mondays with matches played on Sunday mornings with coaching led by a Level 2 qualified coach who is currently completing their UEFA B license. We are not holding formal trials but if you are interested in coming to a few training sessions please contact Philip for further details or to ask any questions. Aldenham FC Excel U12s playing in the Watford Friendly League are looking to recruit players for next season. We are looking for boys who are committed and who want to learn. We play on Sundays at Queen's School Hertfordshire. Come to train with us on a Wednesday. St Albans City U10 West (U11 West next year) are looking to sign 3 or 4 players in preparation for the 2019/20 season. After previously competing in the Emerald Division of the Mid Herts Rural Minors League, this year the team have played an age group up in the top division of the Hertfordshire Development League and have decided to move back to their age group in the West Herts Youth League on Sundays next season to allow the players to play district football alongside for the club. The team is run by two Level 2 qualified and one UEFA B qualified coach and aim to be playing EJA standard by U13 age group. We are looking for team players that are passionate, determined and have a hunger to improve. We pride ourselves with our ethos of building life skills through football whilst giving the players an opportunity to succeed, creating a family atmosphere throughout the team both for the players and parents. This opportunity is perfect for someone who is desperate for a challenge whilst becoming part of a tight knit group that we hope to keep together for the foreseeable future.